The True North Youth Foundation (TNYF) launched its Away Game 50/50 Program on April 14th, allowing fans in Manitoba to purchase 50/50 tickets for the Winnipeg Jets at Minnesota Wild playoff away game, and all other away games this season, in support of TNYF and its youth-centred programs. TNYF has worked with the Liquor and Gaming Authority (LGA) and software partner Bump 50:50 to expand its existing 50/50 program to create more win-win opportunities for fans and the foundation. For Sunday’s 6:00 p.m. CT game in Minnesota, the draw opened at noon CT on Saturday, April 14 and closed at 9:30 p.m. CT on Sunday, April 15. Congratulations to Roger from Steinbach, MB, he was the winner of Sunday’s draw. We are be back at it for the Jets playoff game #4 as the draw begins April 16th at noon CT, and will be drawn April 17th after the game! 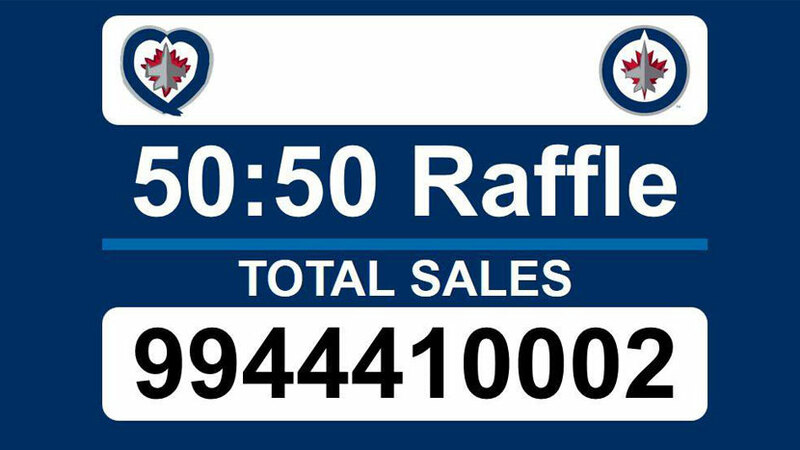 Fans can purchase their 50/50 tickets safely and securely online at www.tnyf.ca/fiftyfifty. Tickets will be sold 1 for $5, 3 for $10, 10 for $20, or 50 for $50. Once visitors are on the web page, there will be prompts to complete the transaction. As per LGA 50/50 regulations purchase can only be made from IP addresses that are within the province of Manitoba.